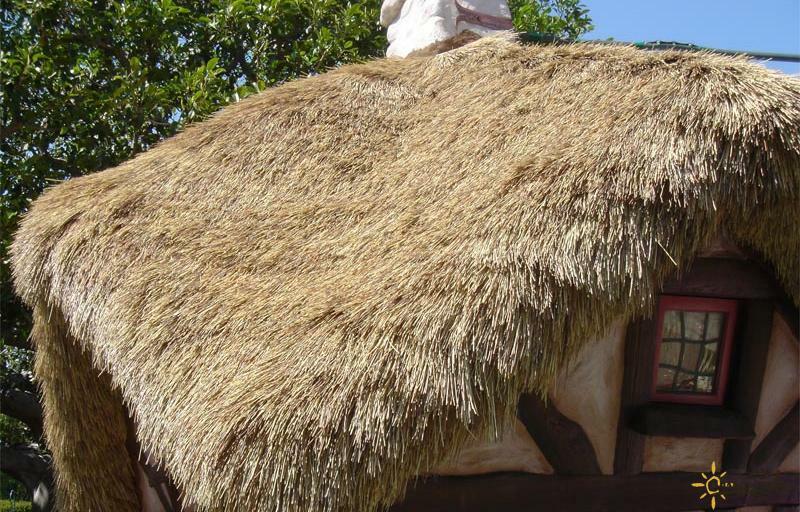 Applications for Mexican Rain Cape Thatch: Apply to a plywood deck with staples or on horizontal 1/2" x 1" batten boards to create a more authentic looking thatched roof. 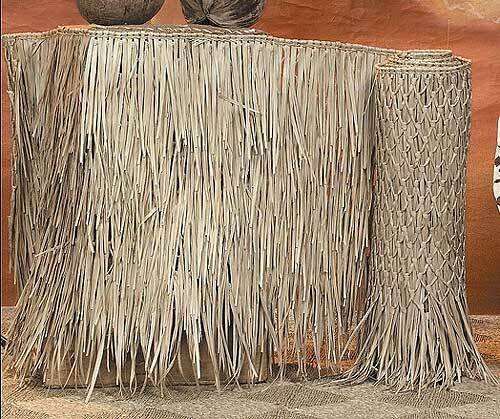 Specifications of Mexican Rain Cape Thatch: Hand-woven palm leaf sheet is for 52" x 60' x 1" thick and weigh 99 lbs each roll. This is approximate measurement. Sold individually in one long thatch roll. Can measure up to 63' long. 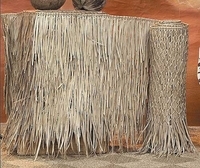 Mexican Rain Cape Thatch Dimensions: 52" x 60' x 1" thick. Each roll provides 220-230 sq ft of coverage. Please allow material for overhang also when calculating thatched material.This is approximate measurement.